This place certainly looks like a wonderful place to have dinner! 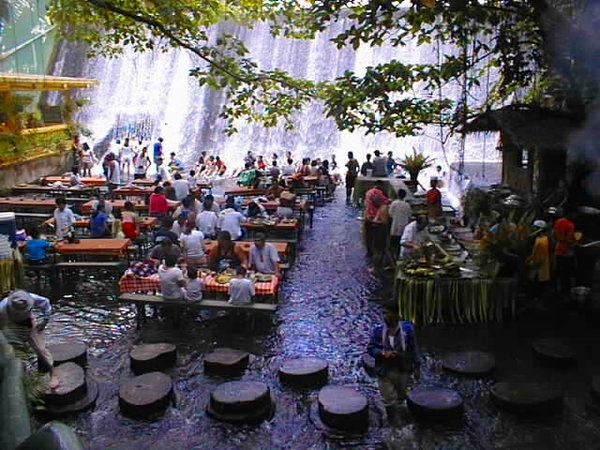 The Ruins restaurant in Ocho Rios, Jamaica, is also great. There is a beautiful waterfall there. Have a good day Colette! Wow, that place looks cool! I love eating out so much! I do it too often though. That restaurant is fabulous. I would love to dine under a waterfall! !